Khorosho Productions: Statuesque Resistance Cell Officer, Commissar and new sprues released! 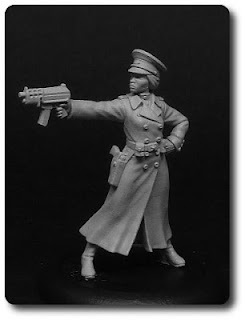 Statuesque Resistance Cell Officer, Commissar and new sprues released! 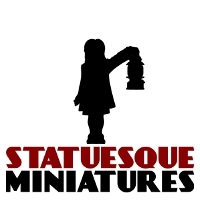 Statuesque Miniatures is pleased to announce the release of the next wave of Resistance Fighter figures. 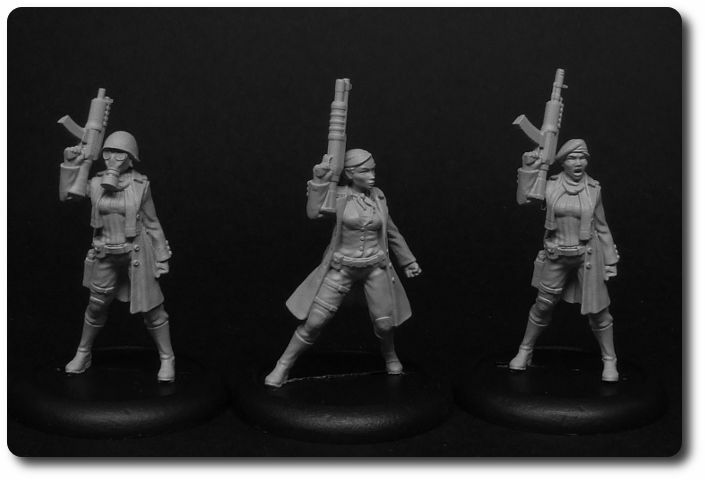 Liaising with the higher command and leading their comrades into battle, the Resistance Cell Officers are vital in the fight against oppression! These figures feature interchangeable heads and weapon arms for more variety. 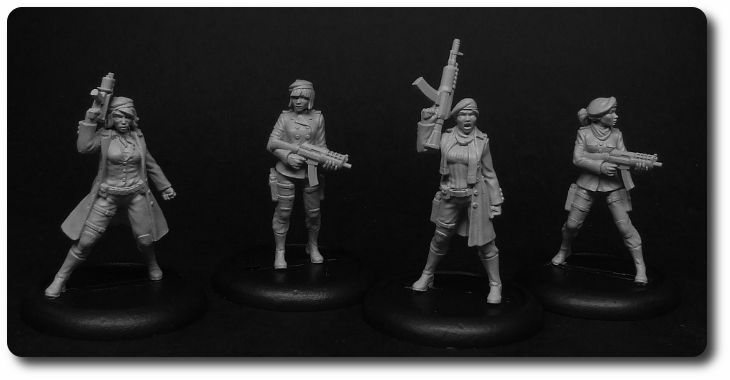 The Cell Officers set is priced a £9. Purchase two sets for £8 each and three or more sets for only £7! 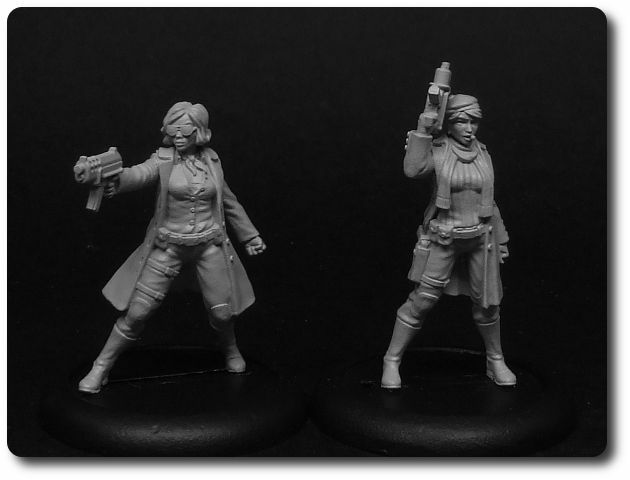 For a limited time only, you can pick up a set of Cell Officers and two Female Resistance Fighter sets for only£25 with the Resistance Cell Special Offer, saving £4! Buy two Cells for £24 each and 3 or more Cells for only £23 each! This offer will run until the 3rd of March. Commissar Vespera Venko has been tasked by the E.S.U. command with guiding receptive Resistance Cells along the path to political enlightenment! Commissar Venko features two choices of heads: an officer's cap with a steely gaze or a faceless, sinister gasmask. 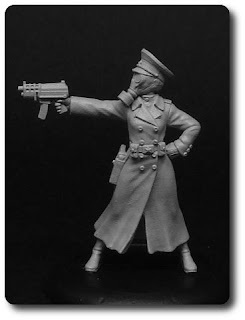 Commissar Venko is priced at £4.95. Purchase two Venkos for £4.70 each and three or more for only £4.45! 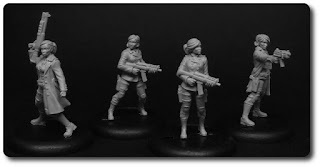 Also released are a number of Resistance Fighter Accessory sprues. 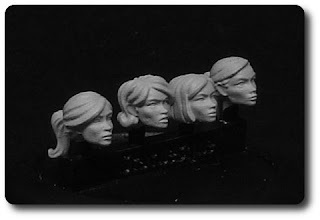 Everyone likes to look their best, even when going into battle, so the Cracking Hairdo Head sprue is perfect for the more diserning Resistance Fighter. The Cracking Hairdo Head sprue is priced at £1.90. 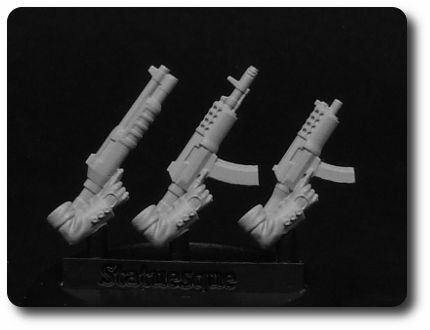 Purchase two sprues for £1.75 each and four or more for only £1.60 each! A beret is an essential part of any Resistance Fighter wardrobe, so here's the Beret Head sprue for all your beret needs. 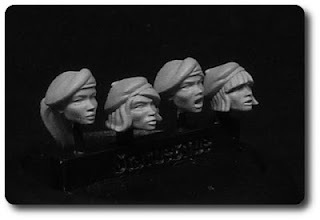 The Beret Head sprue is priced at £1.90. 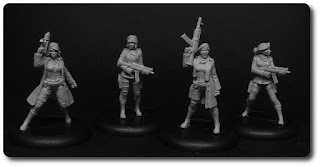 Purchase two sprues for £1.75 each and four or more for only £1.60 each! 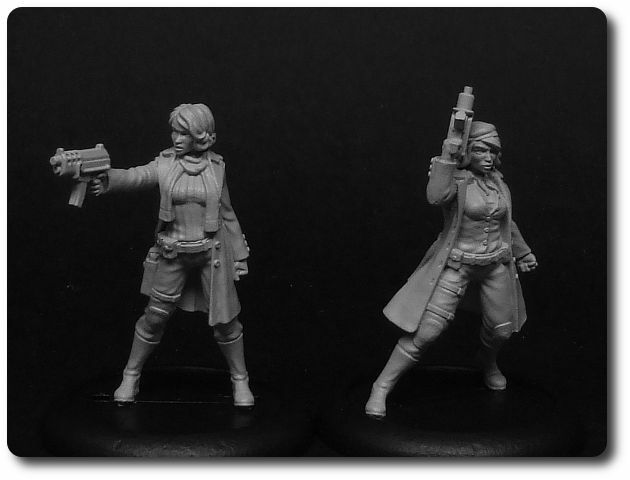 And finally, the Cell Officer Weapon sprue allows you to arm your Cell Officers with a variety of deadly weapons. The Cell Officer Weapon sprue is priced at £1.90. Purchase two sprues for £1.75 each and four or more for only £1.60 each! Will place an order this week.